Chances are slim you will actually sit on a jury. Jurors by the numbers: according to the National Center for State Courts, 32 Million Americans are summoned for jury duty nationwide, 3 Million people report physically for jury duty, and only 1.5 Million actually serve on a jury. 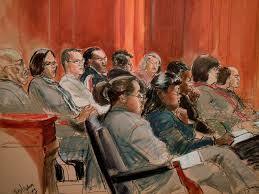 Statistically, you have a good chance of never serving on a jury. Get helpful information in advance. Every court in Georgia how has a website with helpful information about jury duty, e.g., when to arrive, where to go, where to park, whether parking will be paid, how long to expect to be there. Just Google the name of the court and you’ll find that information. For example, in Fulton County, where I often try cases, there is a wealth of helpful information for jurors so you’ll know what to expect before you get to court. Jurors are not “selected,” they are de-selected. The jury of 12 that ultimately decides a case are essentially the jurors who are left over after the jurors who have indicated some sort of pre-judgment or bias about the particular case have been struck and sent home. Jury selection is a process of elimination. Those folks who,for some reason, shouldn’t be the ones deciding a particular case are “struck” from the jury and whoever is left is your jury. 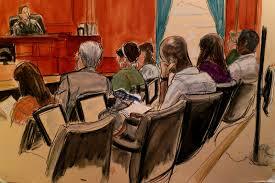 We do not pick people out of a jury panel we like and get to have them sit on the jury. Your jury service probably won’t be so bad. Really. Trust me. Most courts have a system in place for juror called “one day or one trial.” If placed on a jury, you must serve for the length of that one trial. If not placed on a jury, you must serve just one day in the jury sitting room waiting to be called and then you are sent home. If you go through jury selection and are not on the final jury, you are usually allowed to go home (except in Federal Court). So your service won’t be that long, and chances are you will actually enjoy it. A jury in King County, Washington liked jury duty so much they wrote in to the local newspaper to rave about what a wonderful experience it was. Maybe you’ll have the same experience. Remember, if you ever have to have a trial for yourself or your family, wouldn’t you want jurors like you hearing your case?